via paypal or credit card. Additional shipping charges will be applied at check out. or Contact the studio to place your order. For USPS please print, complete, and send the Mail Order Form in the tab at the top of the page. Allow 4-6 weeks to print and ship this item. Local patrons may schedule studio pick-up to eliminate shipping cost. 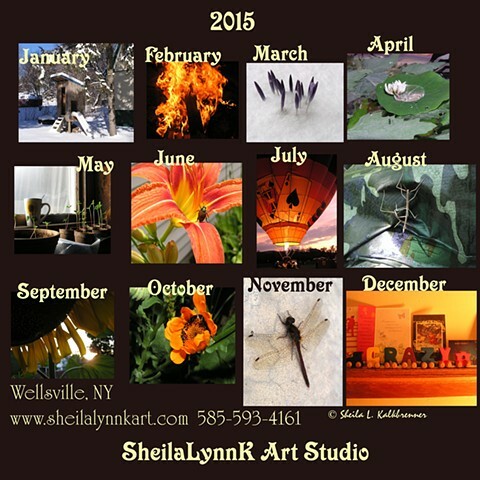 These featured images are displayed as a collage on the back cover of the SheilaLynnK Art Studio 2015 Photography Calendar. This is a 12 month calendar~One Image per month.